Purchasing new construction is usually more complicated and intimidating than buying a resale home. If you have a realtor it costs you NOTHING. The new home seller/builder pays your realtor! When you choose a realtor, by LAW, that realtor legally has a fiduciary duty to get you the best deal, the most favorable terms, and look out for your best interests. If you do not have a realtor with you, you are going in blind and are severely at a disadvantage in contracts and negotiating with someone only looking out for the builder. Builders’ model homes are staffed by agents who work directly for and represent the builder. What a buyer is doing by working with the builders representative is working with someone who is not representing them but instead is representing the builder. The builders representative is working in the best interest of the builder, not a buyer. Did I mention using your own realtor is FREE? ***Keep in mind that most builders will require that the real estate agent accompany and register the buyer on their first visit to the builder’s model home or community. Make sure you don’t just “stop by” the new-home community without your realtor. If you do, you could lose the opportunity to have their own representation. With a reputable realtor, you get to step back and make the key decisions that will get you what you want – while the agent filters all the marketing, salesmanship and other noise into the facts that will help you make the best choice. Keep in mind that the real estate agent working for the builder is focused on the best interests of his client – the company selling the homes. You deserve to have your own agent, someone who will be looking out for you. 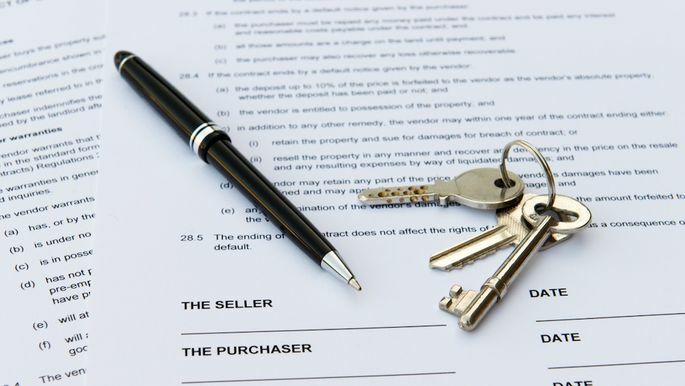 The majority of larger builders will have lengthy, attorney-written, intimidating-looking purchase agreements that cover all the pertinent details of the new-home purchase. Ensure you read through and are familiar with the purchase agreement.Even if you’ve purchased a home before, the contract for new construction is a whole different animal, and an experienced agent can help you make sure you understand everything, from floor plans to earnest money requirements, deadlines for requesting changes, and timelines for completion. Your realtor will make sure to get everything in writing. Instead of hassling trying to figure out the HOA restrictions, your realtor will handle all the paper work for you. Your realtor will provide you with all the neccessary documents, rules and regulations regarding the HOA in the new community. A builder typically will have a preferred lender that they will try to steer you to, but your real estate agent can help make sure that you’re getting the mortgage that works best for your situation. Your realtor will recommend shopping around to other lenders since financing for new build homes is much different than getting a mortgage for an existing home. Another excellent reason to hire a real estate agent when buying new construction is the ability an experienced agent will have to keep the transaction and/or build on track. There are many reasons why real estate closings are delayed with existing homes and with new builds there are even more. Generally speaking you should expect a new home to be built in 12-14 weeks. Below is an idea of what happens during the 12-14 week time frame. Week 1 – Site Preparation – During the first week the area where the new home is being built is prepared for the build phase. This includes the clearing of the lot, excavation, and leveling of the lot. Week 2-5 – Foundation – During this 4 week process the bones of the new home are built. This means the footers are installed, followed by the foundation, and last but not least the homes frame is built. Week 6-8 – Mechanics & Interior – During the next 3 weeks the homes mechanics are put in place. This generally means the homes HVAC is installed, electrical wiring is run, and the homes plumbing is put in place. Once this is completed, the homes insulation and drywall is installed. Week 9-11 – Flooring & Paint – Over the next 3 weeks, the homes flooring, doors, and cabinetry are installed. At this time the interior of the home is painted as well. Week 12-14 – Fixtures, Appliances, Landscaping – The final 3 weeks is when the homes light fixtures, faucets, appliances, and landscaping is installed. Week 14 – Final Walk Through – Once the home is completed, the buyer will do a final walk through in addition to the municipalities inspector with the builder prior to issuing the certificate of occupancy, also known as a C of O. Want upgraded counters or appliances in that new home? Your realtor can help you with all those extra perks, amenities, and upgrades. Your realtor can often negotiate with the builder on things like paint color or even the style of garage door, especially if the housing development is in the beginning stages. Since your agent sees both sides clearly, he or she is the one most capable of negotiating a deal that will be to your benefit. If the builder is selling all his homes at full price and not give away any upgrades, don’t expect your agent to perform miracles. In some areas, builders can’t build the homes fast enough to keep up with buyer demand. Don’t expect a builder to discount when they don’t need to. Buyers’ agents know the areas where you’ll find the most wiggle room when it comes to negotiations. I highly recommend you hire a professional home inspector immediately after the offer is accepted on any house you buy. Be sure that you have a home inspection contingency written into your offer. Your realtor will fully explain what it is and why it will protect you. There is plenty of that can go wrong ! It is your hard earned money & it is up to you to protect your investment. You have a right to hire a home inspector and you should not skip this most important step. When buying any home it is always wise to have an exclusive buyer’s representative in your corner fighting hard for your best interests. There are so many questions that can come up when buying new construction. You want a trusted advisor you can bounce your questions off of. Most importantly, having your own realtor costs you NOTHING! The Best Pumpkin Patches Near Rancho Cucamonga!